Cladding, Decking, Louvre Blades and Brise Soleil. Saunas and Garden Furniture, Internal Cladding including Bathrooms & Kitchens. What is Thermowood ®? Thermowood is produced by treating softwood in special chamber kilns at high temperatures. The cellular structure changes during the heat treatment and as a result Thermowood is more stable than untreated wood in changeable climatic conditions. 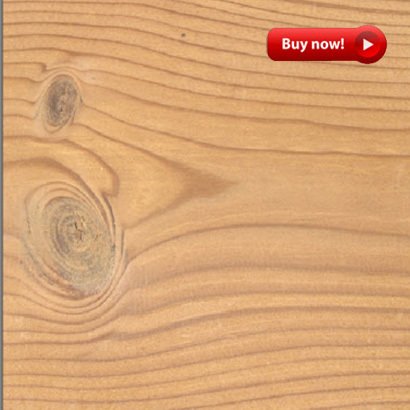 Thermowood's high resistance to moisture or decay causing fungi, makes it an excellent material for use as a cladding. Thermowood is a superior base for receiving surface treatment than normal softwood because there is much less movement in Thermowood. However it can be left untreated to turn grey in colour if a more natural effect is required. Modern styles of architecture often call for highly durable, natural, sustainable, environment friendly, materials - but sometimes the price of traditional timber species (Cedar / Oak) is too high. Thermowood provides a cost effective solution. 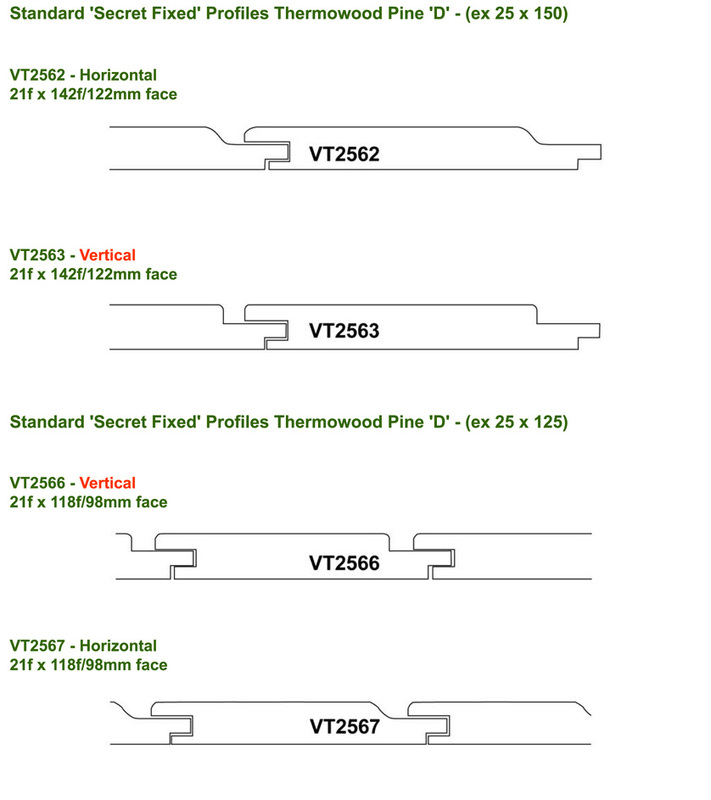 Thermowood is produced by heat treating to 212 degrees for Thermowood 'D' for durability and stability, 190 degrees for Thermowood 'S' for stability. During the heat treatment, chemical and structural changes occur within the timber which alter and improve some of its basic characteristics. The temperature removes some of the natural additives which creates a better performance. 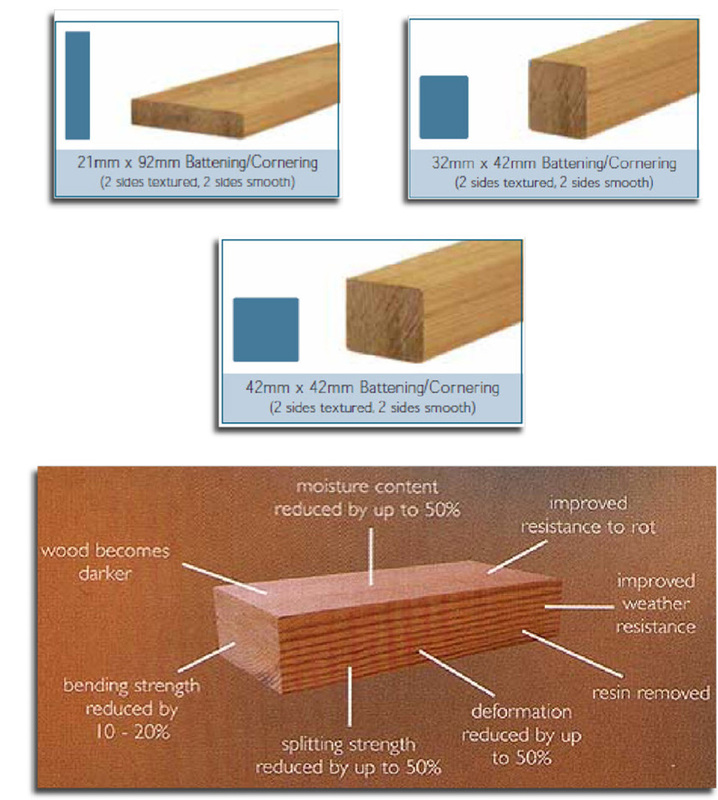 Thermowood is more stable than untreated softwood. The changes occur within the timber during heat treatment which makes it absorb less moisture. This restriction of moisture limits potential for swelling, shrinkage or distortion of Thermowood cladding boards. 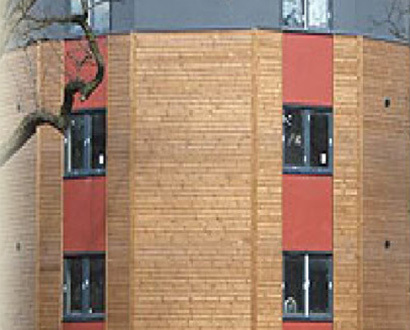 Thermowood can be used in many areas including interior as well as exterior cladding. Examples of end uses are louvres and Brise Soleil, floors and indoor ceilings, mouldings and sections, facades, garden furniture, playground equipment, noise screening, sauna panelling, fences and terraces. 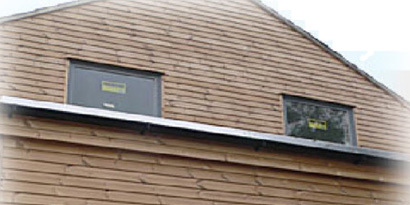 It is an ideal material for use in exposed areas such as external wall cladding. Accepts stains / paints being kiln dried and also accepts FR Treatments. Thermowood is a material of small movement in service. Stainless Steel / Non Ferrous Metals, Nail or Screw, Power Nailers should be avoided. Thermowood density is 350 - 480 kg/m3. 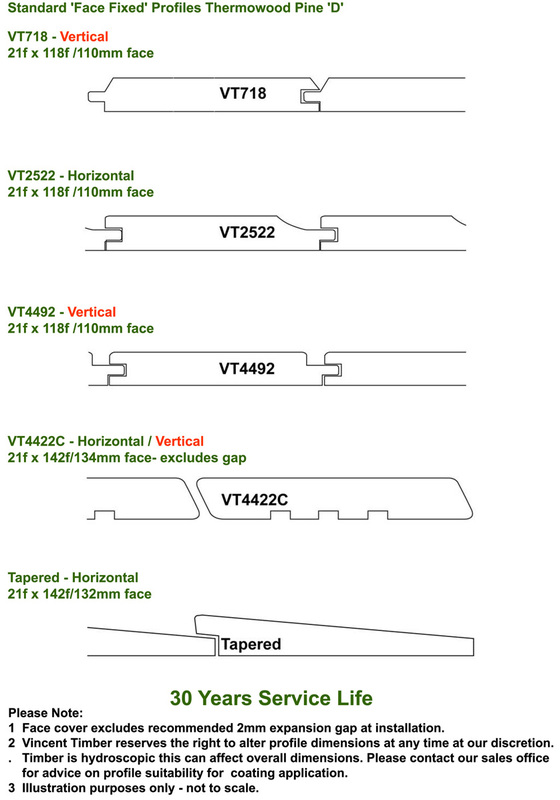 When the moisture content is 6%, natural variation will occur between the individual boards.